American Standard 3691.001.020 Priolo Universal Elongated bowl only, top spud, White. 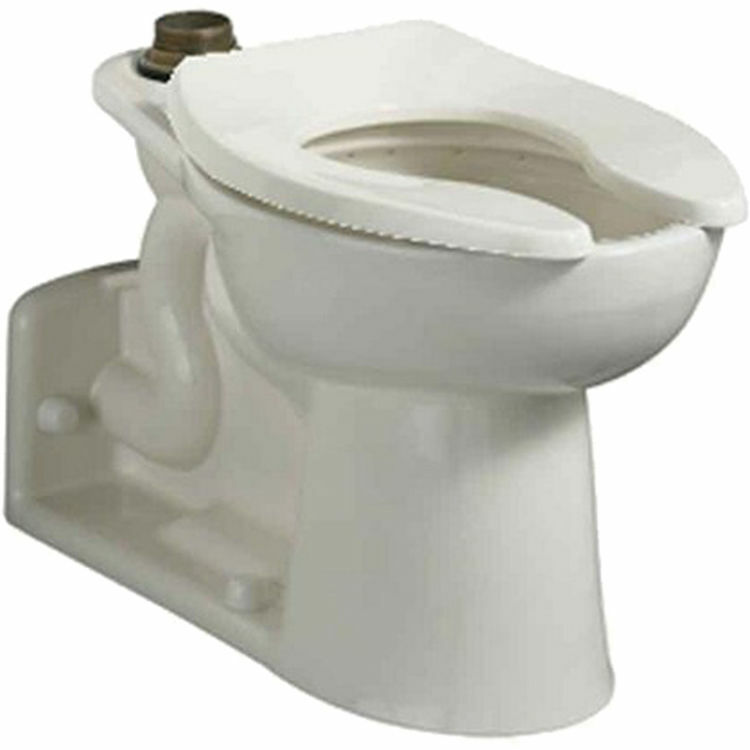 This floor mounted rear outlet flush-o-meter valve toilet features a vitreous china construction, an EverClean surface that inhibits the growth of bacteria, mold, and mildew, a condensation channel, an elongated bowl, a powerful direct-fed siphon jet action, a fully glazed 2-1/8" trap way, a 1-1/2" inlet top spud, and 2 bolt caps. This model also features a slotted rim for bedpan holding. Shipping Dimensions 31.3" x 15.8" x 17.0"